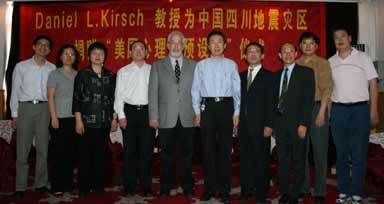 Renowned US psychological intervention specialist, Professor Daniel Kirsch was in China giving lectures in the Nanjing Chinese Medical University. 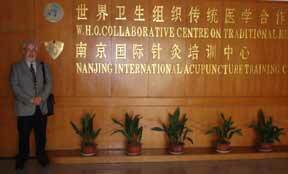 When he learnt of the great earthquake in Wenchuan, Sichuan, he immediately realized the importance and urgency of psychological intervention and called for the simultaneous treatments of psychological and physical wounds. 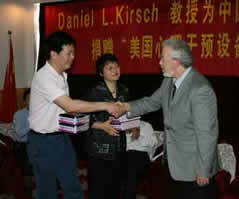 Yesterday, he donated four psychological intervention devices to the Jiangsu Support-Sichuan-Disaster Psychological Rescue Team. This equipment calms down victims with anxiety and depression through electrical stimulation of the brain.